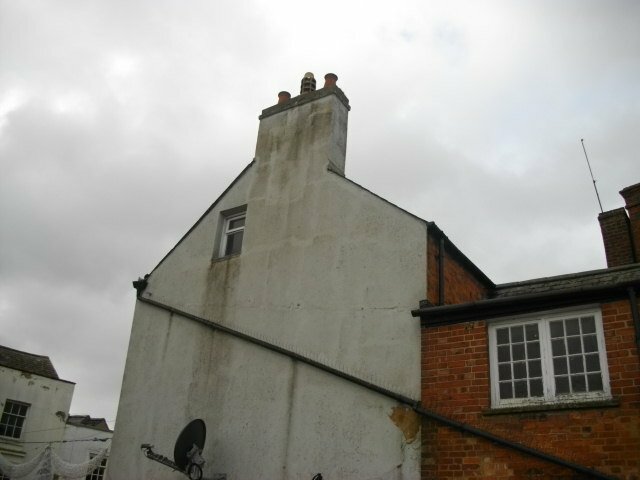 RWS were appointed to complete a dilapidation condition survey on a property in Oxfordshire. 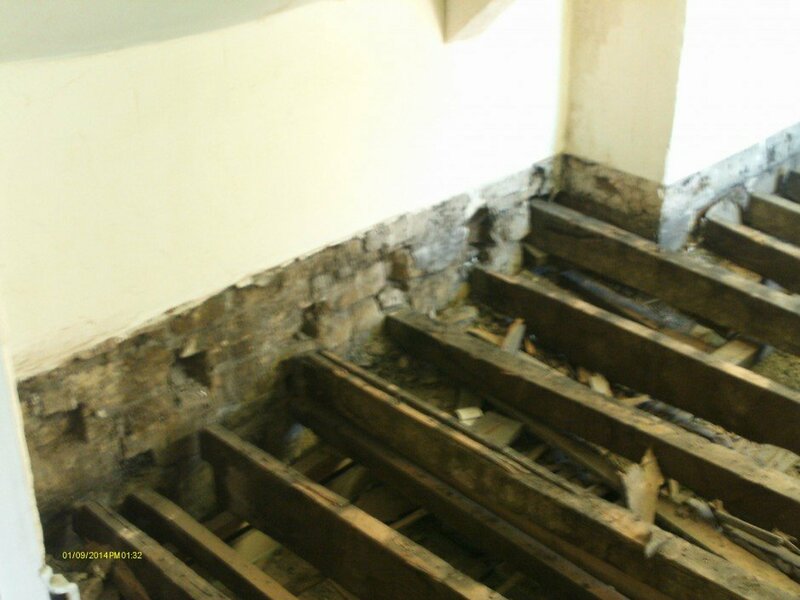 Some queries had been raised by tenants within the property and some concerns were voiced as to the safety of pedestrian foot traffic below. 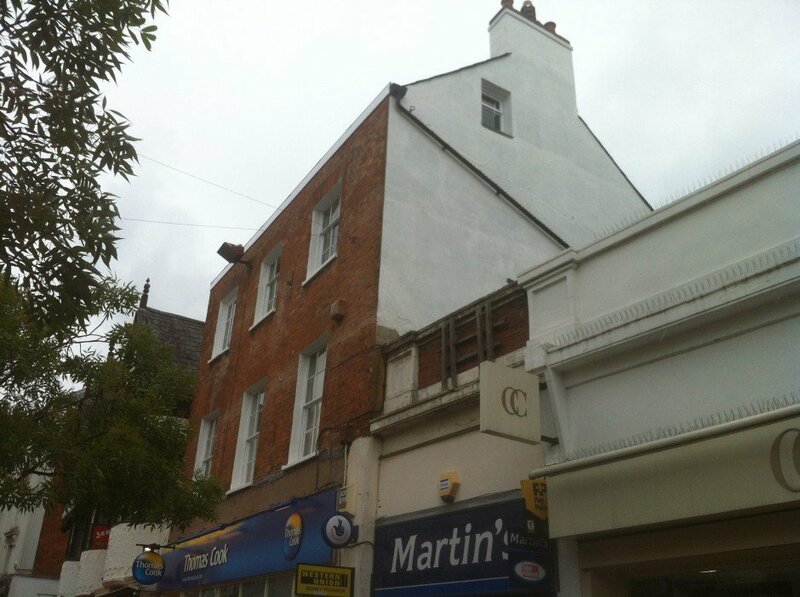 The building was a mid-terrace 17th century 3 storey property with no access to the rear and limited access to the sides of the property and it stood in a prominent High Street position. 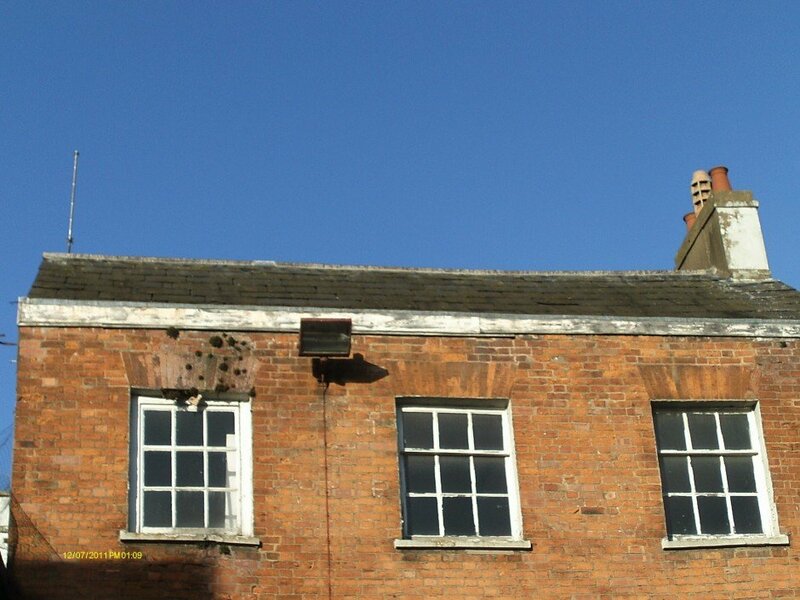 Standard Dilapidation survey was commenced documenting the condition of the property and remedial works that would be required and urgency of certain aspects. 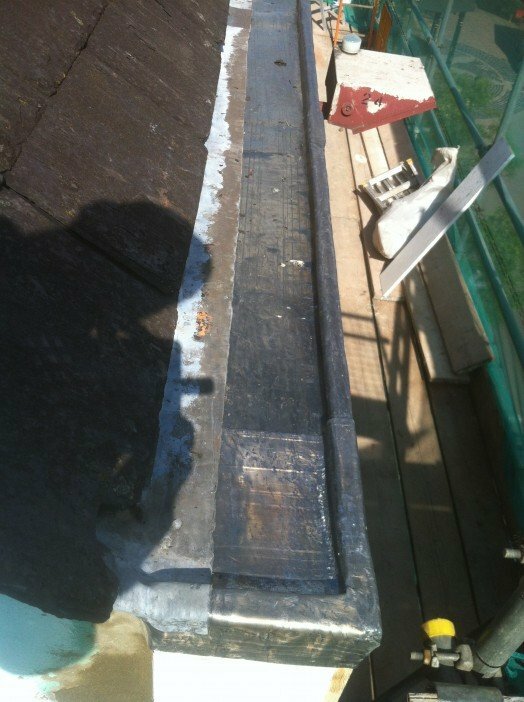 RWS developed these recommendations into a scope within the client’s budget to repair the building and ensure it was in a safe and structurally sound condition, without compromising safety or quality. 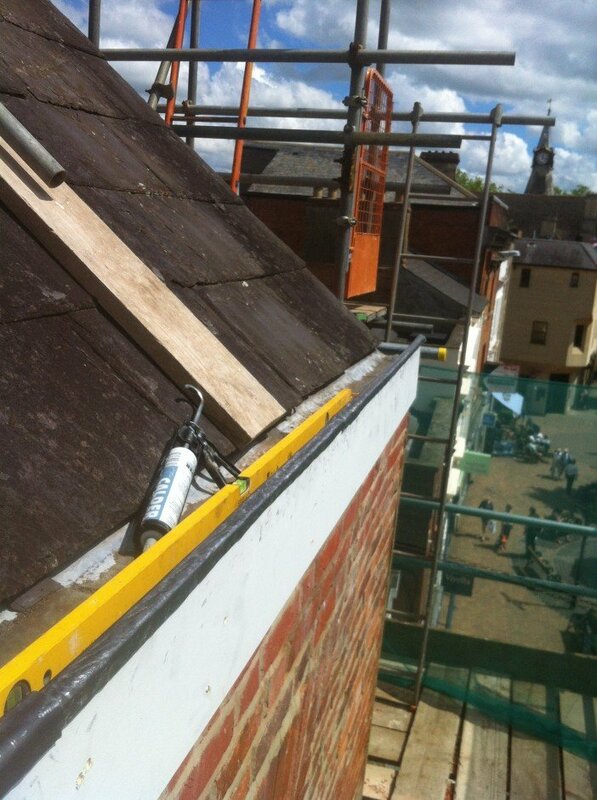 Some temporary works in the terms of shoring was required and MEWP access to make urgent temporary repairs. 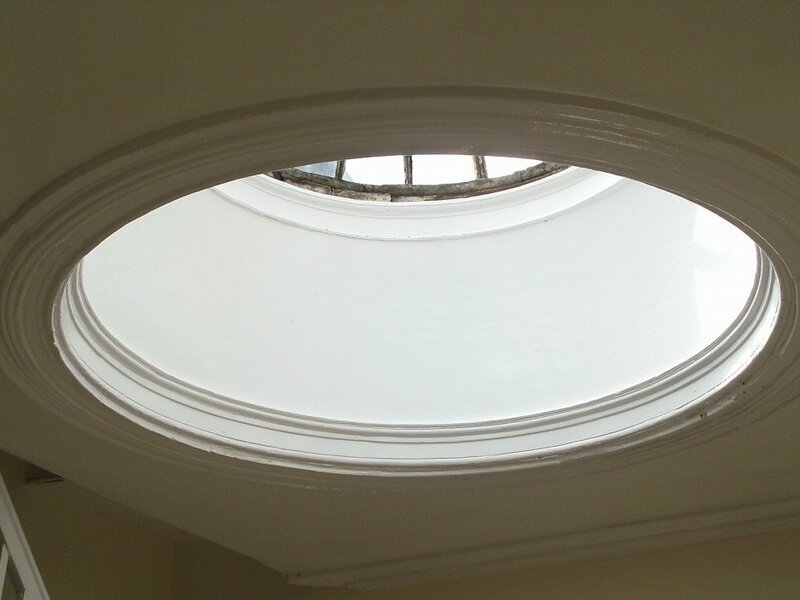 As the property was a Grade II listed building, RWS used their internal design team who specialise in dealing with listed and conservation works consents. Regular site meetings were held with the Local Authority Officer to discuss the materials and scope of works to gain approval and consent. 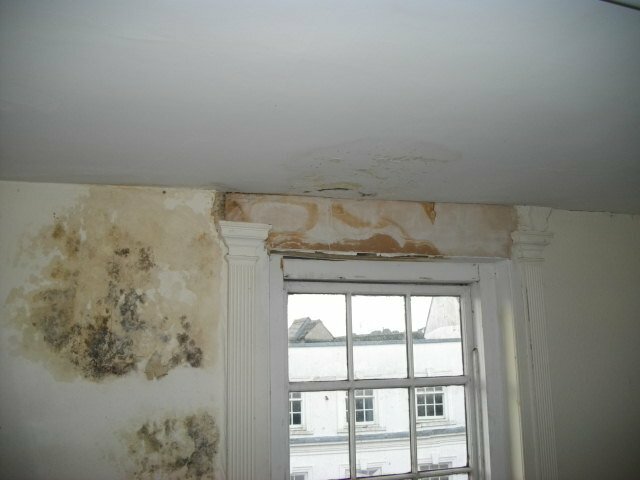 Once the works were approved by the Local Authority Conservation Officer, RWS could get to work with the dilapidations and refurbishment. 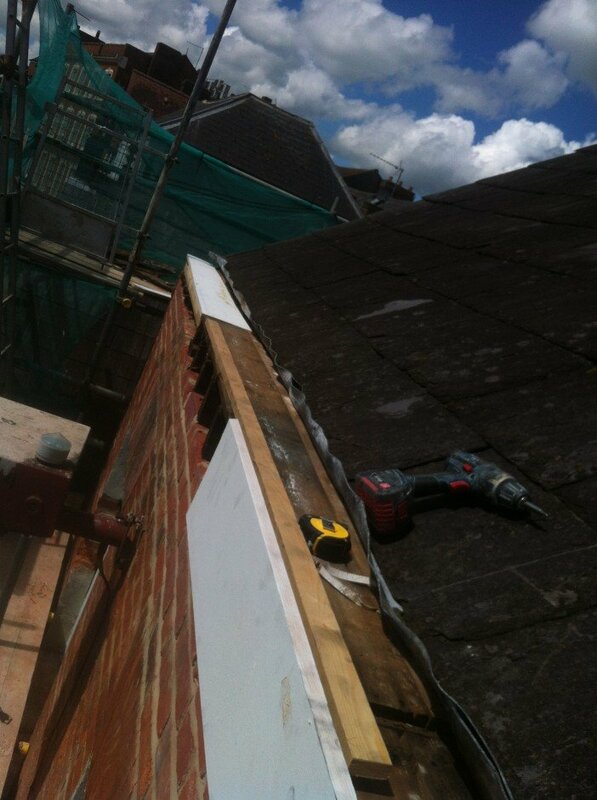 This included a vast range of internal and external works, many skilled tradesmen were required from Bricklayers to Roofers and all specialisms in between! 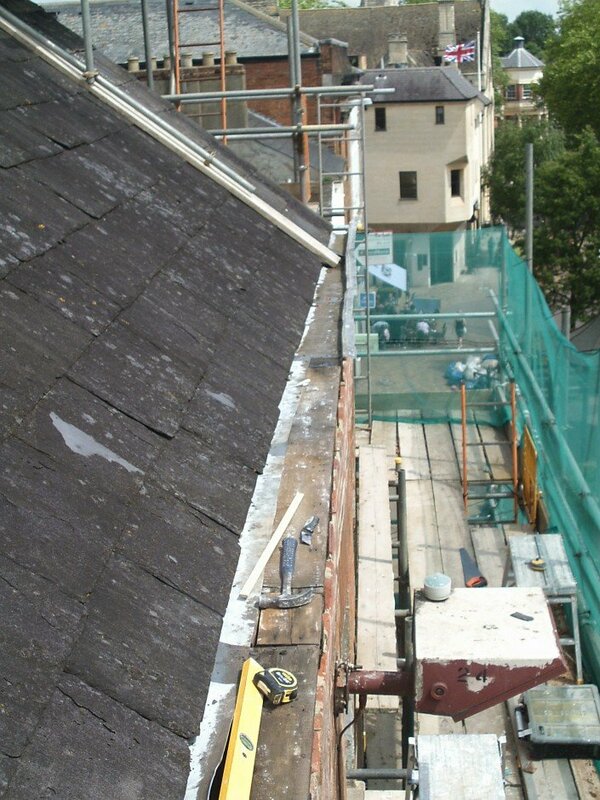 RWS carefully selected the team with a history of working on listed buildings and within conservation areas. 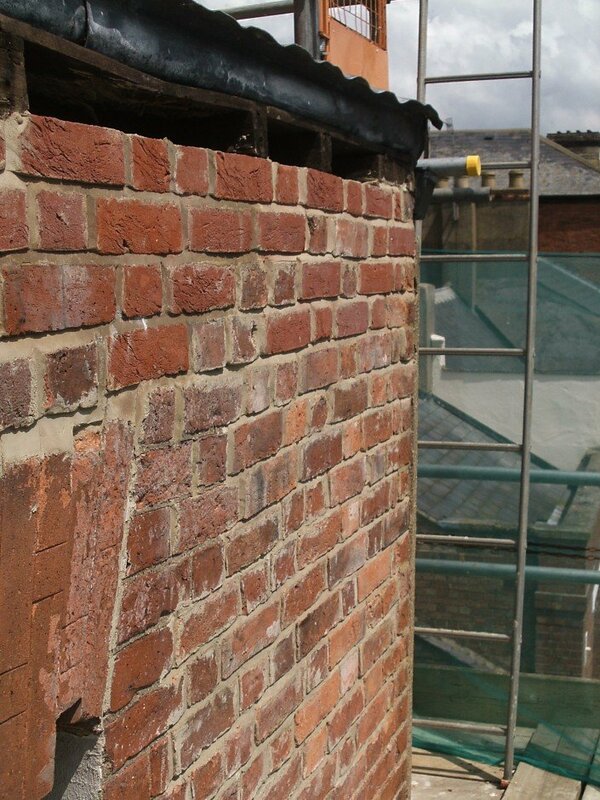 A handmade red brick was chosen which was spectacular in appearance, and though previous repairs to the property were substandard using engineering bricks, we tried to rectify these issues as much as feasible to tie the new into the old brickwork which surpassed the requirement of the Local Conservation team. Rebuilding of the 300 year old brickwork walls was a delicate task. With so many damaged bricks in the façade and trying to save as many of the original bricks as possible and then tying the new into the existing, took some time and effort. 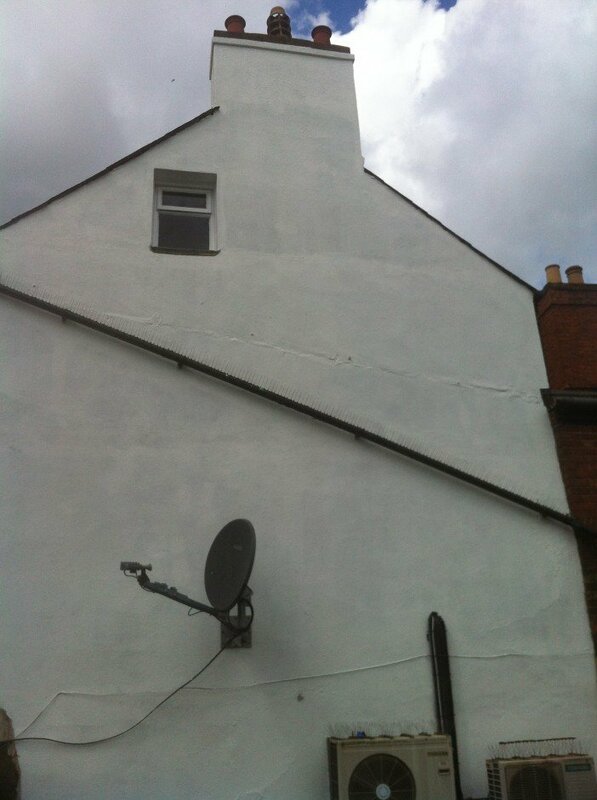 Finding a colour match for the existing mortar was a challenge, but our brickwork team found a perfect match for the lime mortar mix. 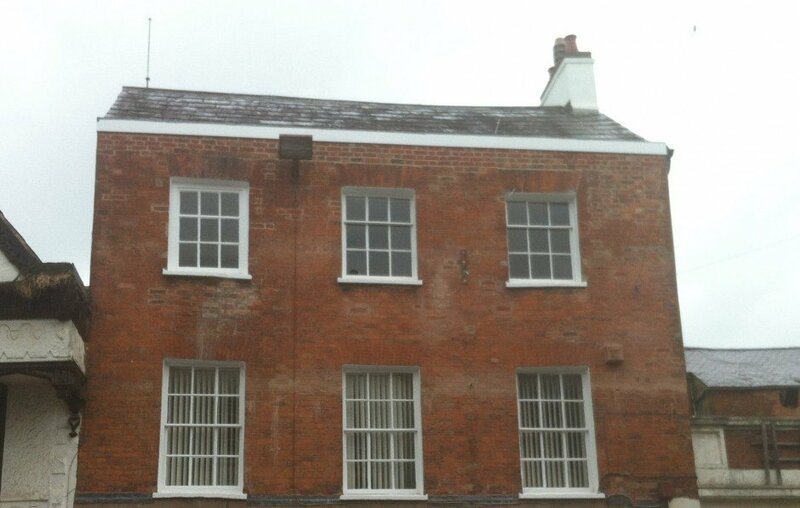 Remaining works to the façade included repairing the traditional sash windows. 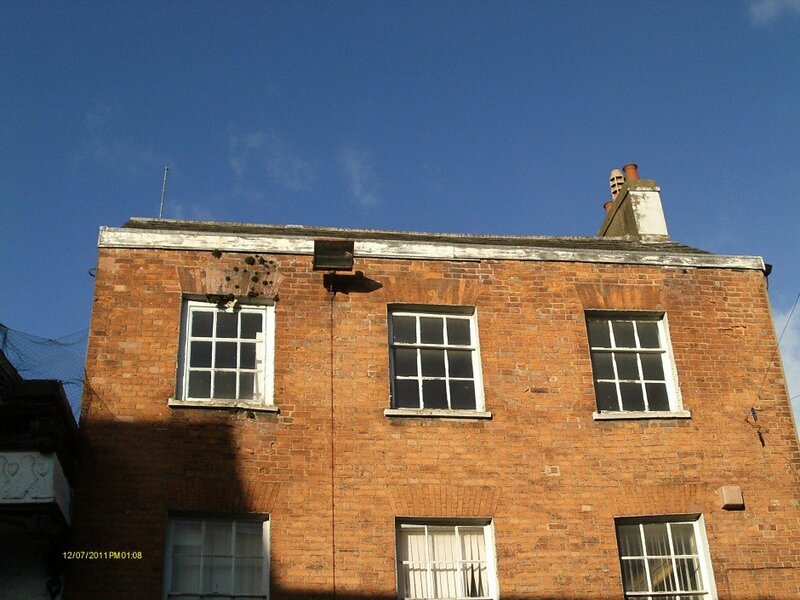 They originally didn’t work and, on survey, were at risk of total failure and collapsing into the street below. Luckily the windows could easily be removed. 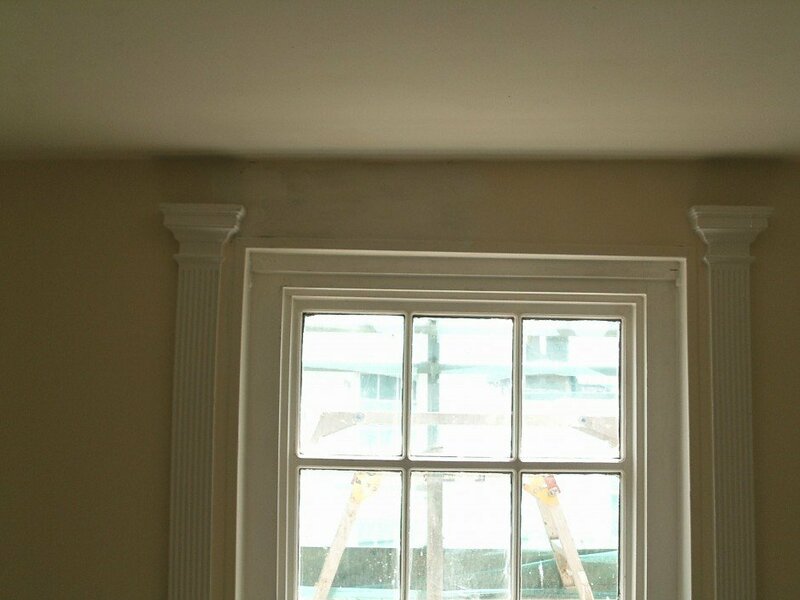 An on-site workshop was created and the original windows were saved and refurbished. 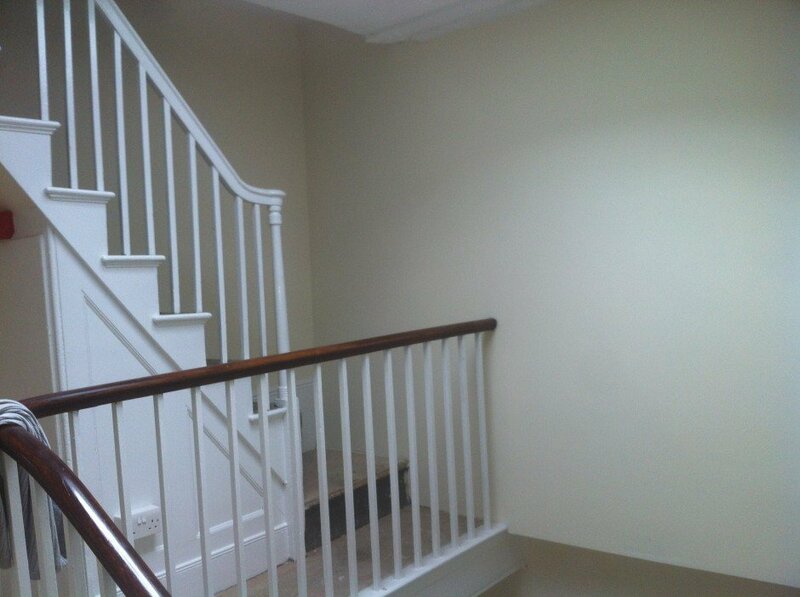 Internal works began by temporarily supporting the third floor from below, leaving access for facilities tenants were using on the second floor. The entire floor had moved away from its original position after years of gradual movement. 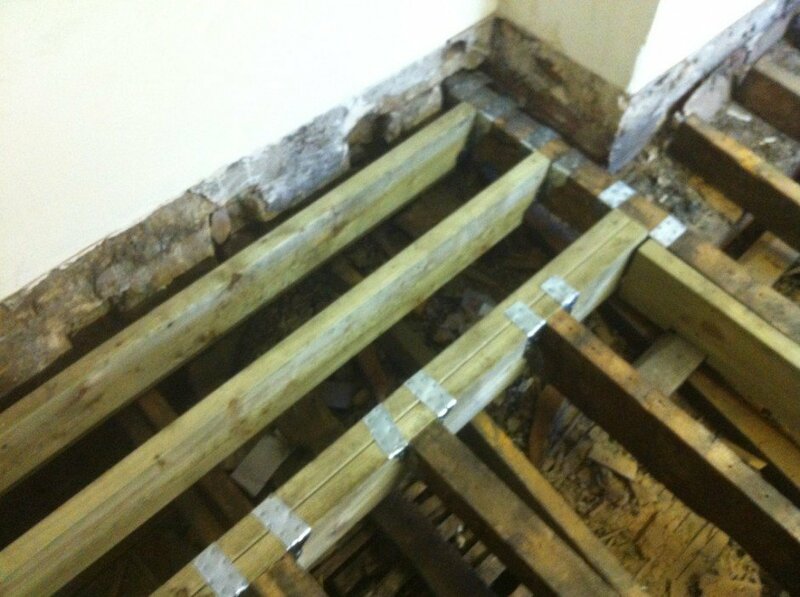 The building had to be restrained in terms with the structural engineer’s rectification details, then the floor was rebuilt in a traditional method to meet the requirement of the listed building consent including replacement floorboards and lathe plaster ceilings. 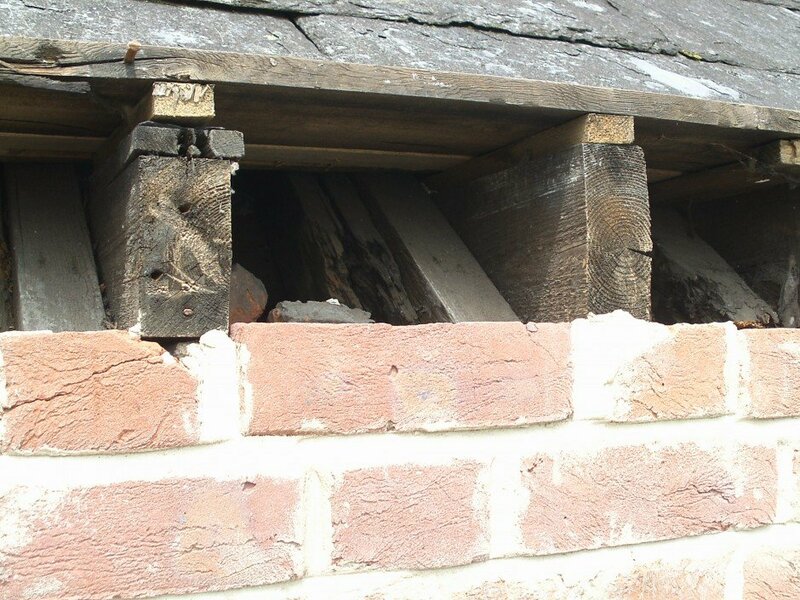 Adjoining rooms were showing signs of many years of neglect, some lintels internally had failed due to a defective lead gulley and required extensive replacement. 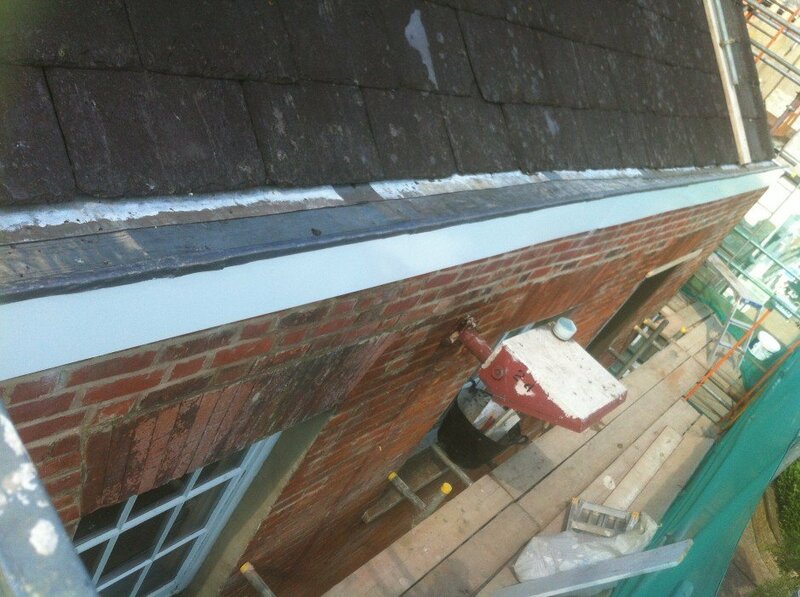 Luckily new lintels were easy to source and will prove the test of time and last for many years to come and, after carrying out refreshment works to these areas, Tenants were amazed by the transformation of the area which was once inutile. 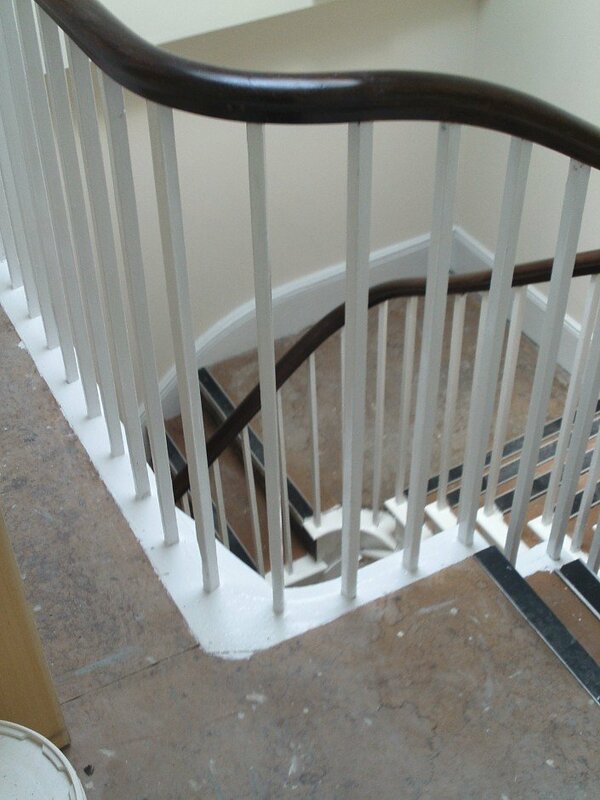 Though this refurbishment was a long and tedious project which involved a lot more parties than a standard dilapidation and refurbishment project, RWS delivered the project on time and within the client’s budget.